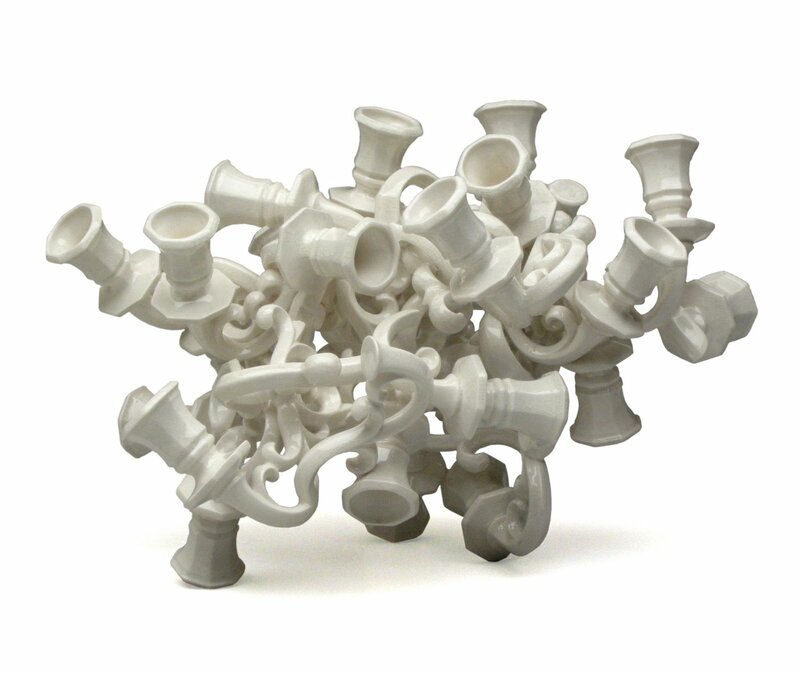 Torrent -An accumulation of interlaced candleholders. The formal geometry and pattern of ornamental arabesques are discarded in favor of random chaos. 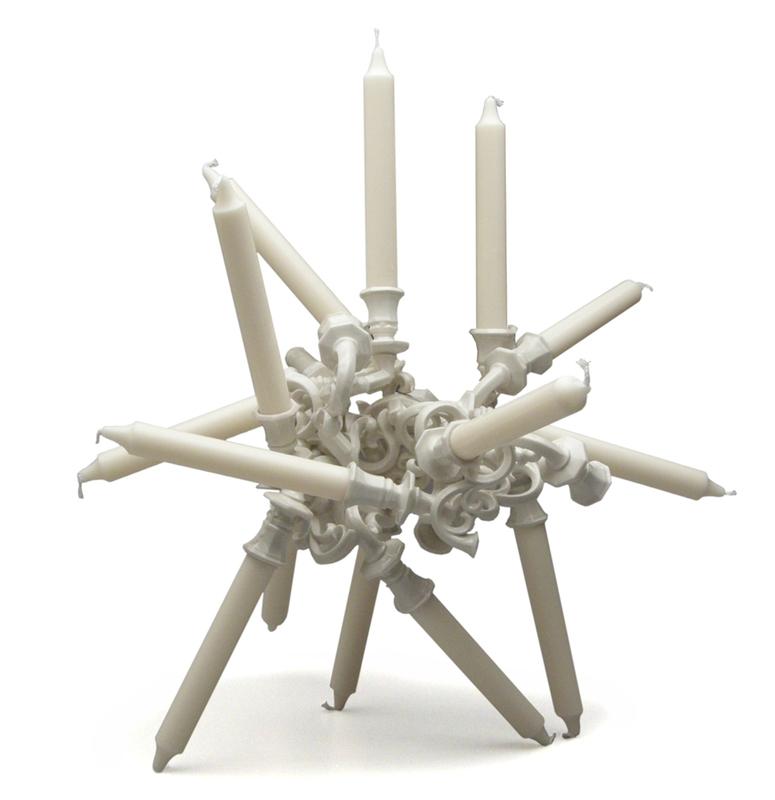 There is no front or back, top or bottom candles support the holder in any direction it is flipped.